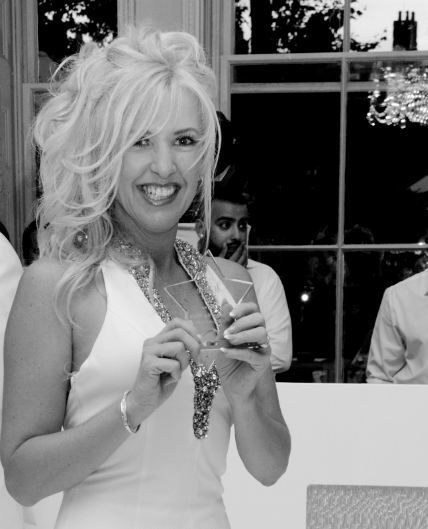 On Saturday evening, Karen Betts headed to London for the prestigious Safety in Beauty White Party. Hosted by Cosmedic Coach and founder of Safety in Beauty, Antonia Mariconda, the event which was held at Home House, London’s most prestigious and exclusive private members’ club, celebrated achievements in the beauty industry and held an auction to raise funds for The Katie Piper Foundation. Upon arrival Karen turned heads for all the right reasons in a stunning white floor-length, Pia Michi gown, and after a few hours sipping champagne and networking with some of the industry’s key opinion leaders, was presented with ‘An Honoured Jewel in the Industry’ Award and ‘Queen of the White’ Award for the most stylish outfit. However, in true Karen style when she collected her award, Karen acknowledged Tulsi; a beneficiary of The Katie Piper Foundation who gave a fantastic speech about the charity’s belief that there should be no reason why scars should ever inhibit anyone’s potential to play a productive role in society, was the real jewel of the evening and generously donated a further £2,500 to The Katie Piper Foundation.